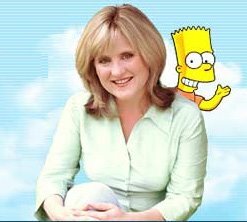 Nancy Cartwright, The Voice of Bart Simpson, is hosting a benefit for the Police Activities League at her home on Sept 30th. This semi-formal Monte Carlo night has a WSOP poker licensedTexas Hold 'Em tourney with top prize a seat at the 2007 Main Event. All proceeds go to the building of a new youth center for at risk kids in the San Fernando Valley. We need more players and guests. For more information for those who would like to attend, please call Peter Kjenaaas at 818-882-7336.